Fig. 1. Temporal evolution of diffraction efficiency in PQ/PMMA and Irgacure 784/PMMA material. Fig. 2. 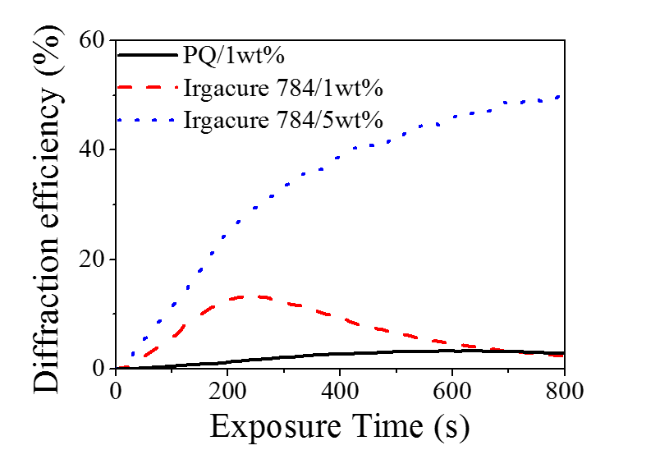 Polarization holography measurement: (a) schematic diagram of polarization holography, (b) temporal evolution of diffraction efficiency. Fig. 3. 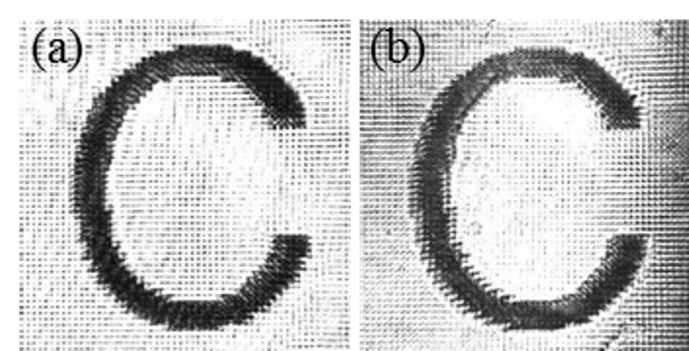 Image reconstruction results in polarization holography system: (a) original transmitted image and (b) reconstructed image. Fig. 4. 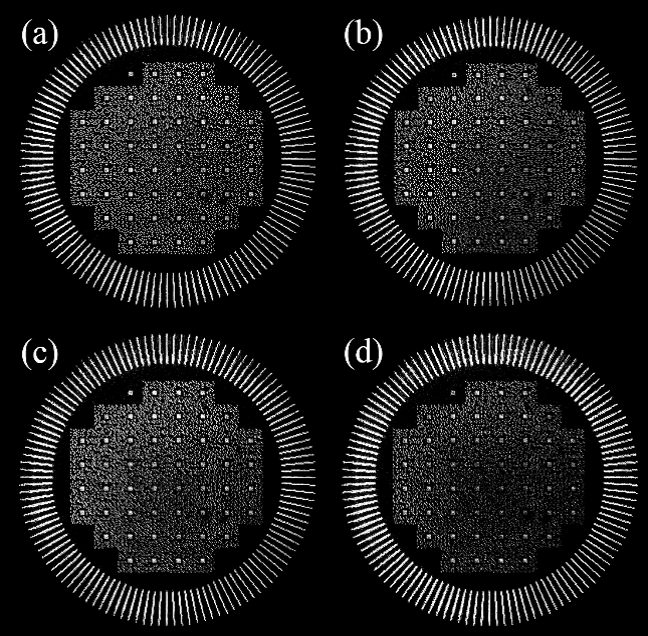 Image reconstruction results in traditional holography system: (a) original reflected image and (b) reconstructed image, (c) reconstructed image of translation 5μm multiplexing, (d) reconstructed image of translation 5μm multiplexing fifth time. 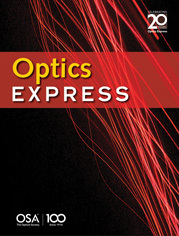 基于以上研究，以“Volume holographic recording in Irgacure 784-doped PMMA photopolymer”为题目的论文，已被Optics Express（影响因子：3.307）接收, 并发表在：Vol.  25, Issue 17, pp. 20654-20662.